Welcome to Series 2 of our Empire Building Guide! We’ve taken you through the basics of starting your business in Series 1. Now that you’ve established your business, we’re here to help you expand it! First...let’s dive into how you can better understand the numbers behind your business. Why do Business Numbers Matter? How you've done: Knowing your business' history is important. Keeping track of your business' performance is important for making sure your business is growing over time. and to help you make sure your business is growing over time. Where you're heading: Projecting your business' future is important because it helps you plan ahead. For example, if you see that January is a slow month for you, then you can increase the marketing activities that you do in advance of January, like sending an email promotion or mass text. Looking ahead helps you make sure that your business continues to grow quickly. What you need to change: Without knowing your numbers, you have no idea how you could be improving your business. Maybe you need to spend a little more time on one client because they are one of your top clients and your last appointment with them was a while ago? Maybe one service is popular during specific times of the year and you should promote that service more? Or maybe there's an opportunity to increase the price of one service because you are double booked for that service every weekend? At GlossGenius, we help professionals understand their numbers better since our solution automatically integrates payment data for your business with analytics and reports. This makes it so much easier to understand and grow your business! 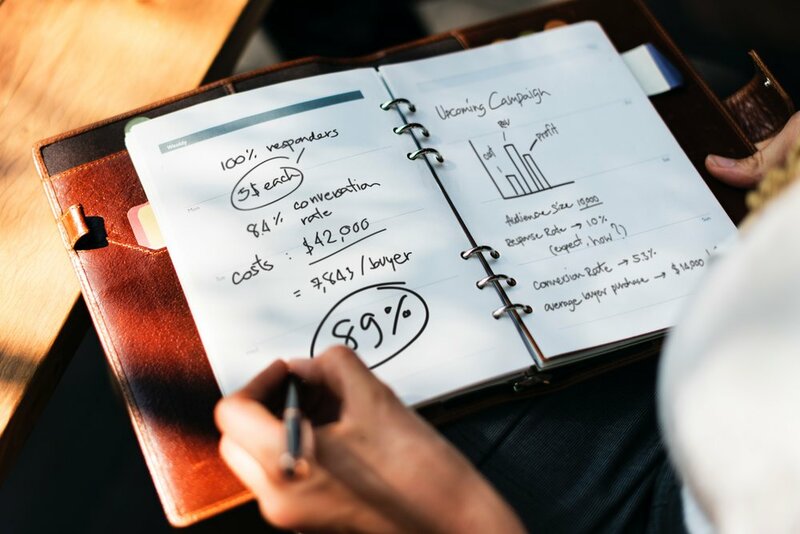 Here’s our breakdown of what the most important numbers are to keep track of AND what you should do with those numbers to grow your business! What it does: Tells you how much money you’ve earned this year. In GlossGenius’s analytics, we also tell you the breakdown of how the revenue is distributed between services, products, tips, cancel fees, etc. What you can do with it: You can compare with past revenue reports to identify what is driving your revenue most. If your revenue is higher...Is it a new service or product that you’ve added? If so, you can promote that service or product to all of your clients and grow your clientele even more. If your revenue is lower...what revenue from the past has dropped off? Have you lost profits on the products front? Is it because you stopped selling a certain product? Is it because that product is no longer popular? Consider, what can you add to your stock instead? What it does: Tells you how much money you are earning per client visit. What you can do with it: If your average ticket is too low...start thinking about ways to increase your average ticket. Method 1: Offer profit-driving add-on services. The perfect add-on service is easy for clients to see the value of, can be completed in less than half an hour, and is low cost for you. It also should be priced low enough that your typical client would be willing to add it on without too much consideration! Here are some ideas for inspiration! Method 2: Offer “premium” services. One GlossGenius user, Alexandria from Central Florida, has found success in offering different packages to her clients. For example, she offers a “Hollywood Bridal Party” package (which includes makeup for 4 bridesmaids and 1 bride) for $400. She also offers a “Supreme Bridal Party” package (which includes makeup for 9 bridesmaids and 1 bride) for $700. Method 3: Offer products. Products you hold in your studio or salon are a great way to increase the average ticket size per customer! What it does: Tells you how many clients you have and what percentage of those clients are repeatedly coming to you for appointments. The higher your repeat client rate, the better! If your total client count is low...Grow your clientele: Promote your business on social media. Create a referrals rewards program to encourage your clients to refer their friends. What it does: Shows a breakdown of your sales across a period of time. What you can do with it: Understand how your sales breakdown, as well as use this to fill out tax forms in a breeze! "Keep going until your bank account looks like your phone number." Want to have a better understanding of your business with analytics and reports? Sign up for your free 14-day trial of GlossGenius & we’ll crunch the numbers for you!